My main reading challenge this year is The ARC Reading Challenge 2010. I have 67 books on my ARC-alanche pile, and I swear I will read and review them all before the end of this year. Some of them have been on this pile since I started blogging, The Aviary Gate, Stealing Athena,The Good Thief, and Zoe’s Tale just to name a few. Some have already made it to audiobook form, The Crying Tree is one such ARC. Some have been nominated for awards, like The Suspicions of Mr. Whicher. The pile sits on my chest-of-drawers and mocks me. Books fall off and rain down on Missy, whose bed is just below. It mocks me! I wake up in a sweat and look over at it. Well, NO MORE. This is the year I WILL get them all done. I’m keeping track of my progress on the It’s an ARC-alanche!! page. Manga Challenge – The goal is to read a minimum of 6 mangas. There will be the odd prize throughout the year and bonus points if you manage to watch at least one anime film or 3 episodes of a series. And last, but not least, I’m excited to be hosting my first reading challenge: The Welsh Reading Challenge. 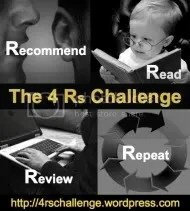 There are 3 levels of reading with this challenge, 1-3, 4-6, and 7 and more. I plan to read a Welsh-related book each month in 2010. I decided to sign up for the New Author Challenge 2010 hosted by Literary Escapism as it will be easy to complete with the ARC Reading Challenge. I want this to be an easy challenge, so you can pick to do either 15, 25 or 50 new authors. It all depends on how fast you read and how adventurous you want to be. I’m signing up for the 50 level, and figure that’ll be easy enough with over 60 titles on the ARC-alanche -which I WILL finish all of the books on that list before the end of the year or NO DESSERT! or something like that…. lol. The reviews will be linked on my ARC-alanche page, but I’ll keep a tally of new authors here. I’m pretty sure they’ll all be new, but this way I can keep track of all the new authors, including the ones from other challenges like the Manga and Welsh Reading Challenge. My challenges just didn’t feel complete without a Jane Austen Challenge. I mean, I’m gonna read her anyway, so why not sign up for a challenge and get extra-credit for them, right? Haley at the Life (and Lies) of an Inanimate Flying Object is hosting a Jane Austen Challenge. Okay, I swear this will be my last challenge but I couldn’t resist it. Sarah at Behold, the thing that reads a lot is hosting her first challenge, and it’s a good one 🙂 Inspired by her love of all things 80s, she’s taken Billy Joel’s 80’s “History of the 20th century in less than 5-minutes” song, or “We Didn’t Start the Fire?” and made a reading challenge out of it. Titled the We Didn’t Start the Fire Challenge 2010 (hmm, makes sense), participants are challenged to read books and learn about the topics mentioned in the song’s lyrics. You can read fiction, non-fiction, or a combonation of both. I’ll be going for the Bronze Combo, as I’m not sure how many books I have that can overlap this one. I know Last Night I Dreamed of Peace will deal with Vietnam during the war, so it’ll fit in here, but not sure what else I’ll get in. If nothing else, I’ll be more aware of the topics while reading and learn more from the books because of it. A quick list of the lyrics with a video can be found here. Nim’s Island by Wendy Orr ~ takes place in the South Pacific. I keep saying last one, but this time it’s got to be. How many more could I possibly overlap? I read about this challenge on BethFishRead’s first challenge wrap-up post of 2010. She’s already finished her first book challenge, and I liked the idea of the 451 Challenge which gets it’s name from Ray Bradbury’s Farenheit 451 in which a small group of people work to memorize a book in order to save the ideas found within so that, thought the physical book itself may be destroyed, it will live on in them. These Book People are then known not by their given names, but as the book they now carry. 451 Fridays asks what books you feel passionate about. What book do you think is so important that you would be willing to take on the challenge of “becoming”? You can find the master list in the sidebar of the 451 Challenge blog. I’m going for the Spark level, and plan to read Persuasion by Jane Austen. I might end up at the Ember level, because I do want to join the Tolkein read-a-long. I keep saying I’m done, and I’m getting better, but I couldn’t resist Bookalicio.us’s POC Reading Challenge. I don’t normally pick books based on the color of the author or characters, and I certainly don’t have a lot of leeway with my reading this year given the stack of ARCs that is laughing at me, but I’ll put down the titles and links of the reviews of the books I do cover that fit this category. I’m sure I can at least commit to level 3, 7-9 POC books. 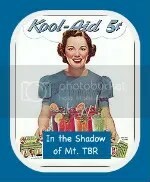 WHAT: Read 5 or more books alluded to or mentioned on LOST. Find books here, here, or here. There are some GREAT books on those lists! And, upon closer look, this challenge is suppose to end with the series finale (whenever that will be), which will be a fairly short time from now in terms of reading, so I may just keep going to the end of the year, as I’m just now joining it. That’s right, I made my OWN rules for me… lol. Alice in Wonderland by Lewis Carrol -planning to read this with Mags anyway. Harry Potter and the Sorcerer’s Stone by J.K. Rowlings – planning to read with Mags anyway. Are You There, God? It’s Me, Margaret by Judy Blume – Mags is just the right age for this. The Little Prince by Antoine de Saint-Exupery – maybe, if I get to this. Hi – I don’t comment on many websites but had to on yours. It’s fantastic! I really like how you have it laid out, unlike a lot of other journals. Thanks for having this site. I found your site while looking for something else on Google, and I don’t have time to read all the articles that is here right now, I have bookmarked the home page and will check back regularly to see your latest updates. What is your favorite anime movie? I couldn’t pick a favorite, they are all so wonderful. Visit my site if you’d like to read more. Thank you again for your website, I really like it!